Hard training, perfect conditions, and unwavering passion for ski mountaineering. Lars Erik Skjervheim trained for three years for this day. He gave up a lot and his social life took a backseat to this record attempt. Now, the weekend of May 19-20, 2018 is in the books. 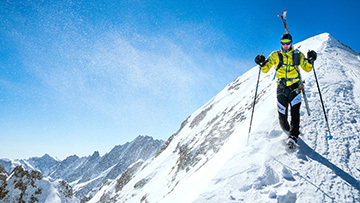 In 24 hours, he skied 20,939 meters of vert (68,697.5 feet) and significantly surpassed the existing record. Lars was accompanied by Malene Blikken Haukøy. At the same time, she logged 15,440 meters of vertical (50,656 feet) and set the first-ever record for women. The ski area of Myrkdalen is near Voss, Norway. There, the conditions for their record attempt are perfect. At precisely 3 p.m. MET May 19, 2018, the starting gun goes off. The tempo is easy and the atmosphere quite relaxed. Skins on, climb, skins off, descend.... Round and round, both replay their routine along the course of approximately 1.9k (0.56 miles). Friends and family of the two are also there. They cheer, motivate and offer assistance. 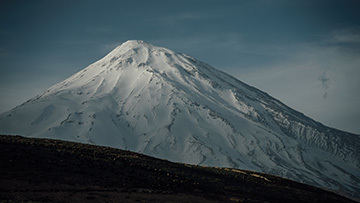 At the half-way point, an aid station has been set up with fluids and, at the highest point, there is a feeding station so both athletes can get nutrition on the downhill to keep themselves fueled and hydrated without losing time. The first few hours just fly by, and Lars Erik and Malene make good progress. Meter after meter, Lars Erik is working is way toward the world record. Just as before, he feels quite good. Even after darkness set, he is still fine. For now! His goal is to break the record of American Mike Foote. In March 2018, he had covered 18,644 meters of vert (61,170 feet) and now Lars Erik is right on his heels. After nearly 10 hours Malene too is in good spirits. She has less pressure than her fellow sufferer since there is not yet any official record for women. She would be the first! At precisely 3 p.m., exactly 24 hours after the starting gun, Malene and Lars Erik’s endeavor is over. They did it! Lars Erik beats the existing record by a full 2,295 vertical meters (7,530 feet). 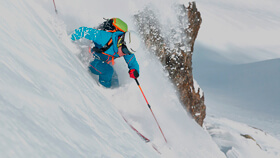 And Malene is the first woman to set the record in 24-hour ski mountaineering. 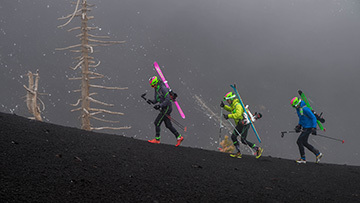 A passion for ski mountaineering got them to their goal.